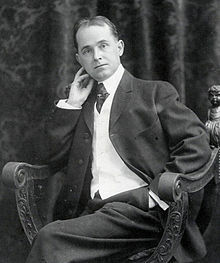 Zenas Winsor McCay (September 26, 1869 – July 26, 1934) was an American cartoonist and animator. He is best known for the comic strip Little Nemo (1905–14; 1924–26) and the animated film Gertie the Dinosaur (1914). For contractual reasons, he worked under the pen name Silas on the comic strip Dream of the Rarebit Fiend 1). From a young age, McCay was a quick, prolific, and technically dextrous artist. He started his professional career making posters and performing for dime museums, and began illustrating newspapers and magazines in 1898. He joined the New York Herald in 1903, where he created popular comic strips such as Little Sammy Sneeze and Dream of the Rarebit Fiend. In 1905, his signature strip Little Nemo in Slumberland debuted, a fantasy strip in an Art Nouveau style, about a young boy and his adventurous dreams. The strip demonstrated McCay's strong graphic sense and mastery of color and linear perspective. McCay experimented with the formal elements of the comic strip page, arranging and sizing panels to increase impact and enhance the narrative. McCay also produced numerous detailed editorial cartoons and was a popular performer of chalk talks on the vaudeville circuit 2). McCay was an early animation pioneer; between 1911 and 1921 he self-financed and animated ten films, some of which survive only as fragments. The first three served in his vaudeville act; Gertie the Dinosaur was an interactive routine in which McCay appeared to give orders to a trained dinosaur. McCay and his assistants worked for twenty-two months on his most ambitious film, The Sinking of the Lusitania (1918), a patriotic recreation of the German torpedoing in 1915 of the RMS Lusitania. Lusitania did not enjoy as much commercial success as the earlier films, and McCay's later movies attracted little attention. His animation, vaudeville, and comic strip work was gradually curtailed as newspaper magnate William Randolph Hearst, his employer since 1911, expected McCay to devote his energies to editorial illustrations 3). In his drawing, McCay made bold, prodigious use of linear perspective, particularly in detailed architecture and cityscapes. 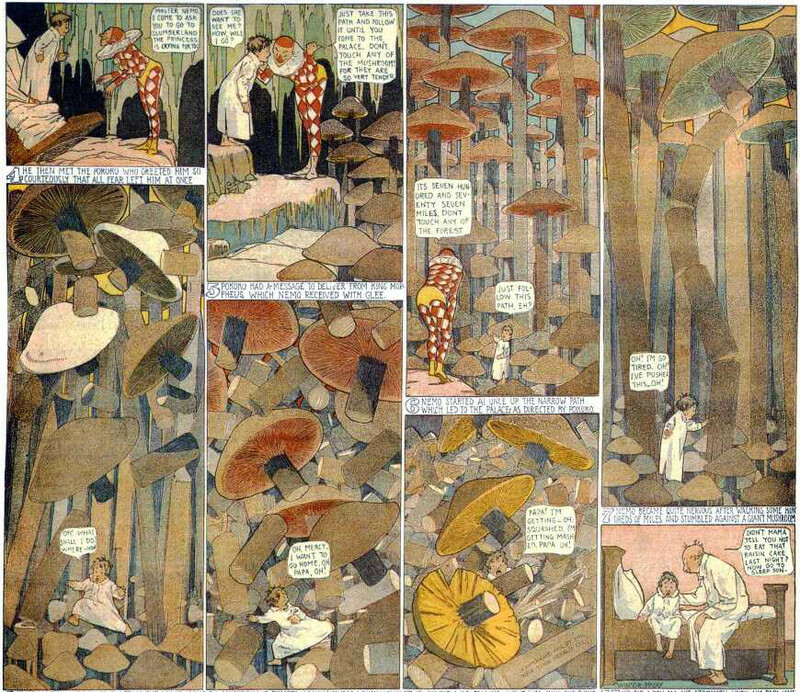 He textured his editorial cartoons with copious fine hatching, and made color a central element in Little Nemo. His comic strip work has influenced generations of cartoonists and illustrators. The technical level of McCay's animation—its naturalism, smoothness, and scale—was unmatched until Walt Disney's feature films arrived in the 1930s. He pioneered inbetweening, the use of registration marks, cycling, and other animation techniques that were to become standard 4). 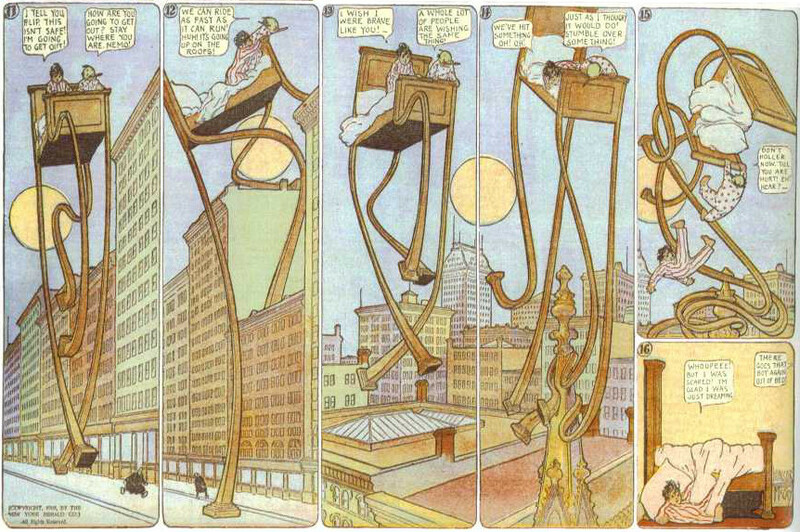 On October 15th, 2012 there was a special Google Doodle about Winsor McCay. It is his 107th anniversary. He was an American cartoonist and animator. Winsor McCay is a pioneer of the art of animated films. Some more artwork as showed during the Winsor McCay: de Little Nemo au Lusitania exhibition in Cherbourg.